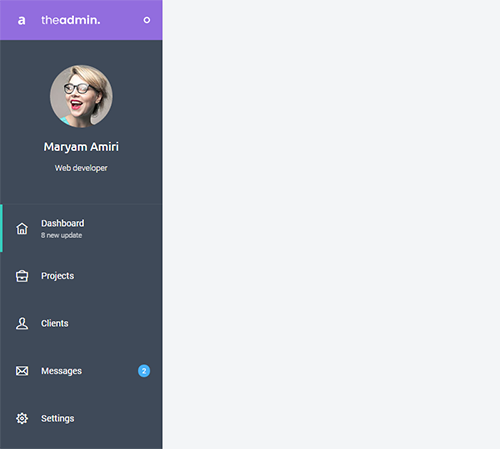 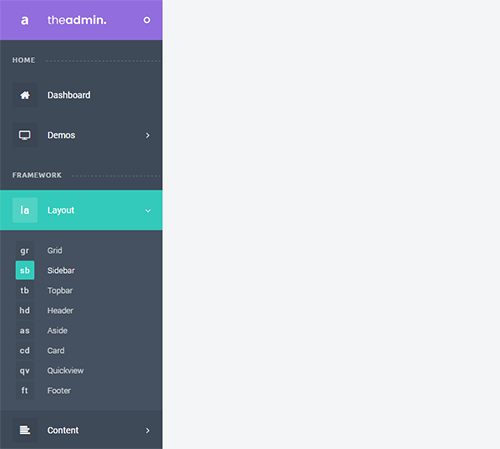 Sidebar Sidebar is the main navigation for most of admin templates and web apps. 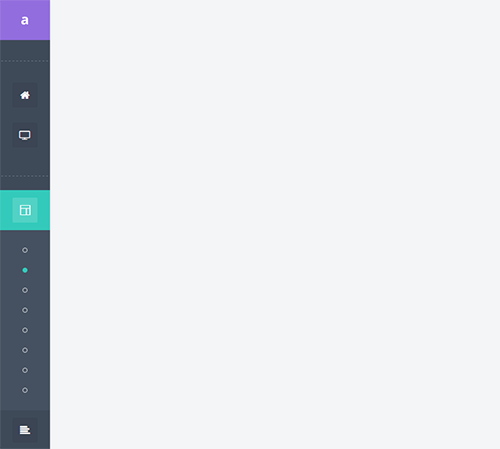 Default menu indicator of current documetation is icon for menus, and dot for submenus. 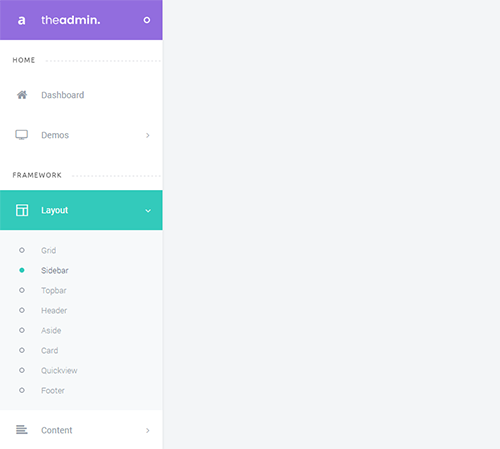 Apart from them, you are able to use characters or even empty space.